AMEN! 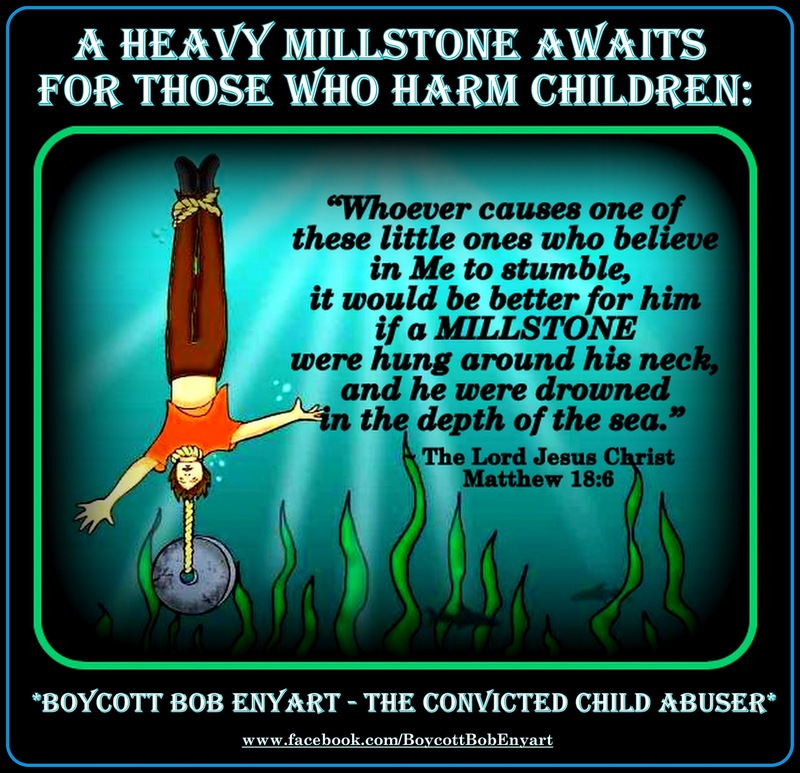 Let that be a reminder message to pastor Bob Enyart & ALL of the suspects in his corrupt *Kult of Konspiracy* who have HARMED the Kekoa's six little children and many other little ones with abusive tactics, harmful LIES, shadow secrecy & demonic deception intended to destroy families & kill trusted relationships. My husband & I have been married for over eleven years, and no one has ever doubted our affection & protective love for all of our children. Over the years, our reputation developed as a good one among our peers, based on Truth & honesty as our ultimate standard. And among the dozens of those closest to us who testified, ALL of them know for a fact that we have always helped those in need, given freely of our time, and been deeply devoted to the safety, happiness & well-being of our entire family. Just imagine how these malicious LIES & unspeakable betrayal have instilled fear in my children that was NEVER there before? How should we as parents deal with the stressful attacks from online Daily Harassment & countless Mock-Hate pages & False Alerts to CPS that were created over several months to intimidate, slander & tear the family apart? WWJD? 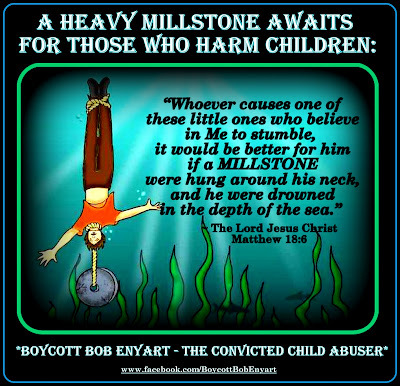 Imagine how it has caused my little ones to stumble in their faith once they learned the TRUTH about our close "Christian" friends & own family members who we deeply loved & let in our lives - then they all turned out to be the very accusers who tried to hurt us most? As Parents, we will NOT stop fighting back against those who betrayed our trust until every GUILTY party is X-POSED & brought down to the pits of public SHAME with the help of God's Wrath & His Righteous Judgment in a Court of LAW! 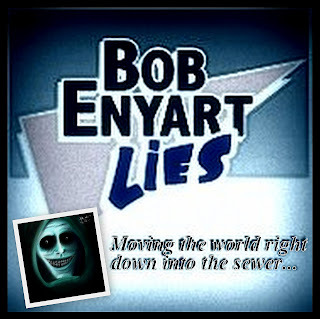 Bob, the man lurking behind PersonhoodUSA is a CONVICTED child-abuser & *Kult* leader who has been CAUGHT in his own web of Criminal LIES & Shadow of Deception! And once confronted, all Bob can say as a defense is that the Kekoa's accusations against him & DBC come from our "paranoid delusions..." - Really??? *WRONG AGAIN, BOB! We're NOT paranoid at all - We're PISSED OFF at YOU for trying to destroy our family by conspiring in secret against us, then continuing to attack our Personhood in public for months! And there's No Way, even IF HELL freezes over, that the Kekoas are gonna let anyone, ESPECIALLY BOB ENYART, get away with hurting any of our kids! "Do NOT piss off a mother of six or threaten to unjustly take her children away, cause if you do, be prepared to face the wrath and righteous judgment that will follow. Doesn't matter how "BIG" you are, a mother's motivation and determination to take down her evil accusers and defend her family is absolutely unstoppable! No amount of fear, bullying, intimidation, slander, backbiting or death threats can stand in the way of motherly love & protection - Better watch out, Bobby - 'The Bigger they are the Harder they Fall' - Isn't that right?" *And make no mistake, Bob will reap what he has sown...every last rotten seed until he falls HARD! * IT'S BEEN CONFIRMED - DO WE HAVE YOUR ATTENTION, BOB ENYART? * I Never Knew I Was Part Of A Cult.....Until I Left One!